Matt in response to your request of a front view of KNP 434T in picture #8974 - heres one I took in 2008 when it attended the Eden Camp Rally - its now owned by some friends of mine from Hull. Thanks for photo, much appreciated, hope they are looking after the old girl. Added by Matt Ireland on 21 July 2010. Hi, I used to drive this punp when based in Hereford as a spare, is she still in preservation? I would love to buy this old pump if she ever comes up for sale? Thanks, Rob. Added by Rob Watkins on 25 September 2010. I think you may have to form a queue! I was enquiring about this machine some time ago. I trained on her and my dad worked with her for a good few years when it was stationed at Droitwich along with a sister R series. 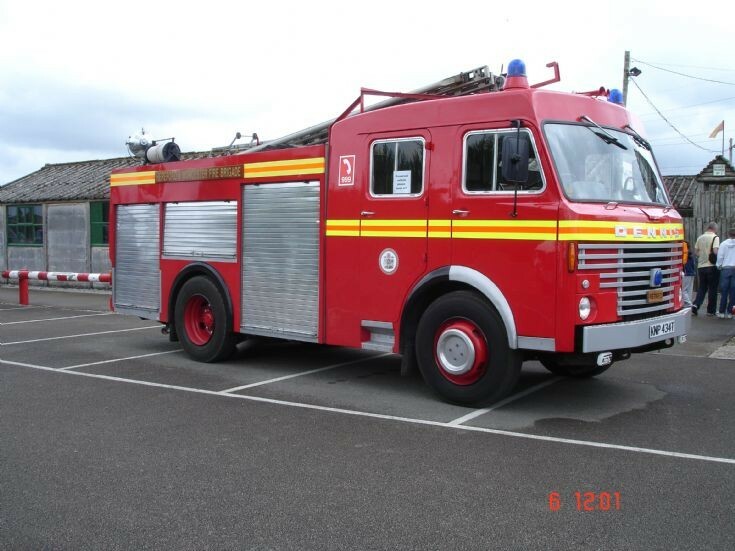 A lovely machine, heavy on the steering, but a proper fire engine. I was talking to Rick loudon recently and it belongs to someone he knows up north. Looks like their looking after the old girl. Added by Matt Ireland on 26 September 2010.